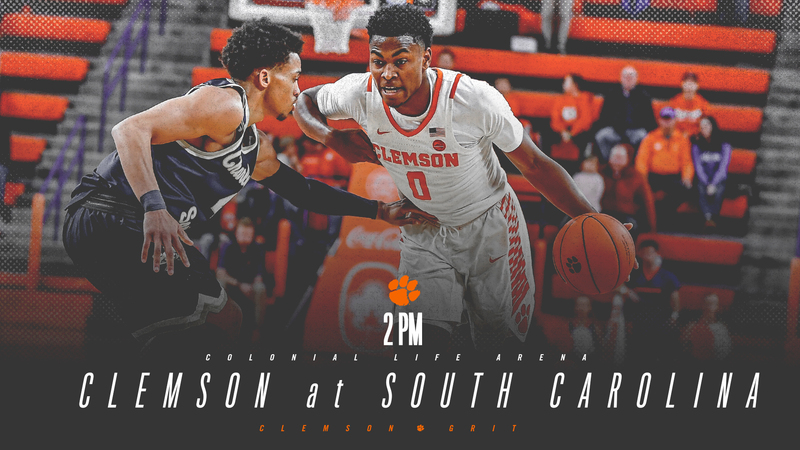 📍 Colonial Life Arena – Columbia, S.C.
🏀⏰ Tipoff Time – 2 p.m.
• South Carolina holds a 90-78 lead in the series, but the Tigers have held a 36-18 upperhand since the Gamecocks left the Atlantic Coast Conference following the 1971-72 season. 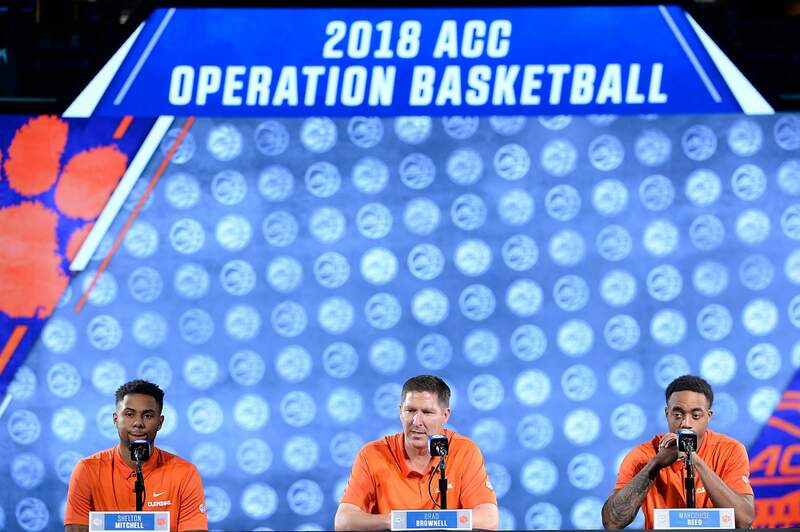 • Since the Gamecocks’ departure from the ACC, Clemson has had three separate winning streaks of at least six games in the series, most recently from 2004-10. • In its last eight games against members of the Southeastern Conference, the Tigers are 7-1, including 2-0 against South Carolina. • Elijah Thomas posted his fourth double-double of the season and 15th of his career against Charleston Southern (25 points, 14 rebounds). • With the victory against Charleston Southern (Dec. 18), head coach Brad Brownell passed Bill Foster and now stands second all-time on the Clemson win list (157). • Clemson has won 28 times in history over South Carolina in Columbia, second-most wins in program history on the road over another opponent, trailing only 41 all-time road wins over Furman. • The Tigers last trip to Colonial Life Arena served as a victory for the Tigers. Clemson won 62-60 and it marked just the second loss all-time in the series for South Carolina as a ranked team against Clemson. • Brad Brownell and the Tigers also earned a taste of victory in Columbia in 2012 when K.J. McDaniels, Rod Hall and Devin Booker combined for 44 points in a 64-55 win over the Gamecocks. • The Tigers’ longest sustained success came in the Oliver Purnell era, when Clemson won three straight (2004,06,08) in Colonial Life Arena. • The Tigers will look to win its second-straight in Columbia.